Information about the event is available here. 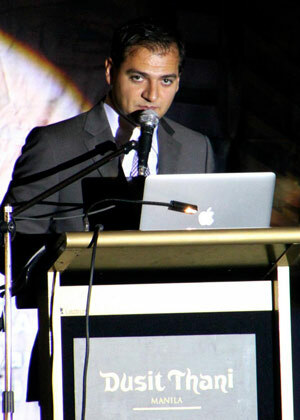 Dr. Gottesman was also honored during an inauguration and inducted into the Philippine Academy of Implant Dentistry. We uploaded several photos from the event (including Dr. Gottesman in cap and gown) on our Facebook page. See the album: Philippine Academy of Implant Dentistry (Oct. 16, 2011). This entry was posted in All, Blogs, Cosmetic Dental Surgery, Crown Lengthening, Dental Implants, Gummy Smile, Gummy Tuck, Lectures, Lip Repositioning. Bookmark the permalink.